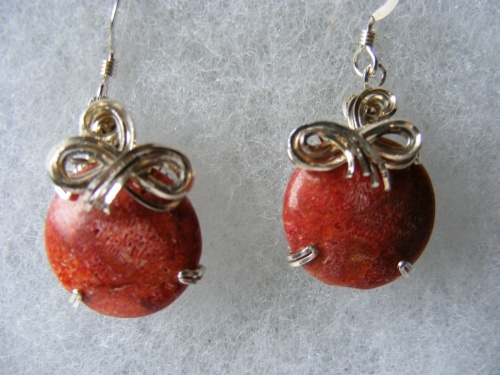 These pretty earrings are made from sponge coral with such a pretty color. Beachy and summery very lightweight to booth, sculpted with sterling silver bow like designs. Measure 1 1/4" from top to bottom.